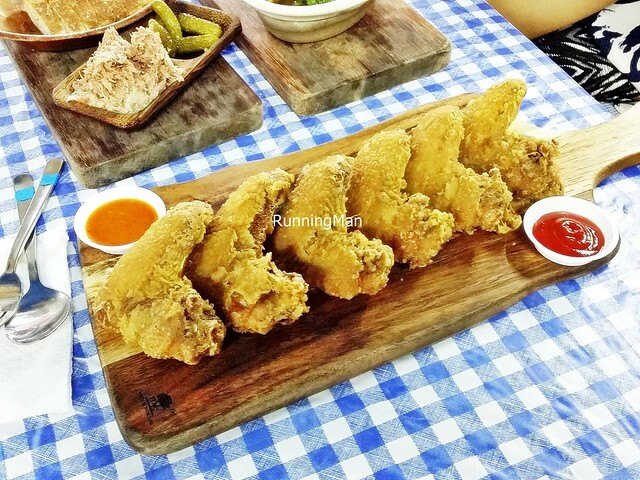 Two Wings is possibly the most hyped / talked about / famous fried chicken wings in Singapore. 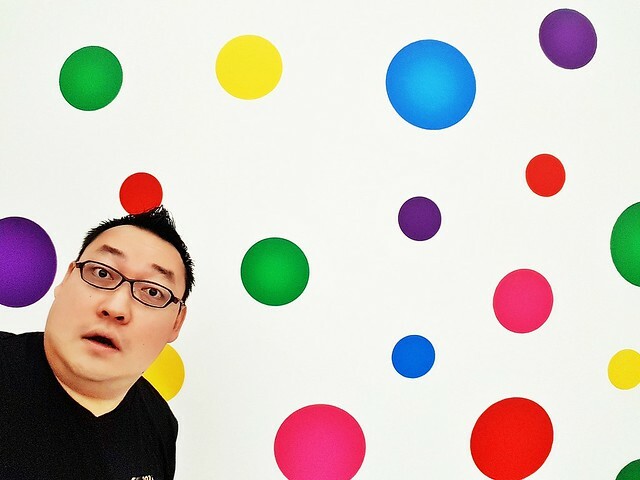 And I'm glad to say that this is one instance that reality lives up to the hype. 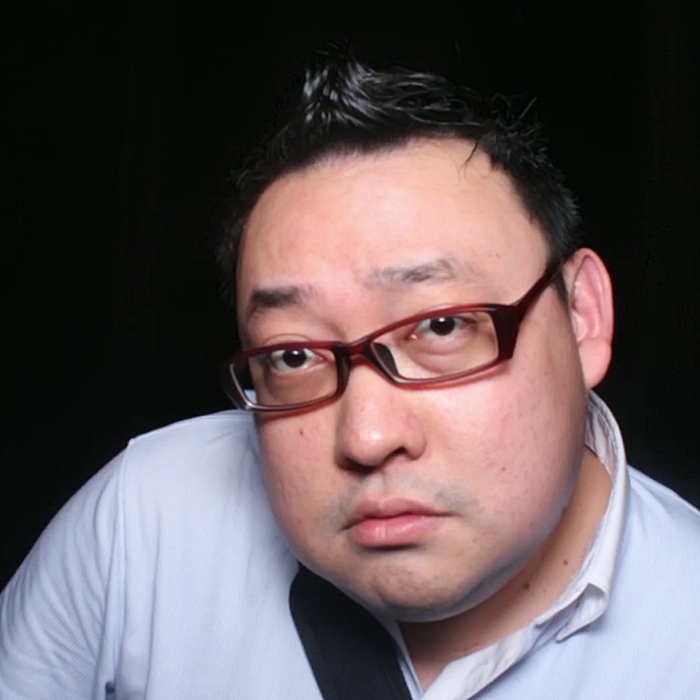 Despite opening in May 2014 at the modern hawker enclave of Salute Coffee Shop / Salut Kopitiam, Two Wings owner Jeremy Loh has had a lifetime of fried chicken wings tutelage, and a 40-year-old secret family recipe, passed down from his granduncle. Granduncle passed this recipe on as a legacy to members of his extended family as well, including the owners of the now defunct Carona Fried Chicken Wing Rice, and the current Victor Famous Fried Chicken Rice. Ambience at Two Wings is shared with every other stall in Salute Coffee Shop / Salut Kopitiam. Functional, decent furniture, bright lighting, and the garish, iconic, blue checkered tablecloth. 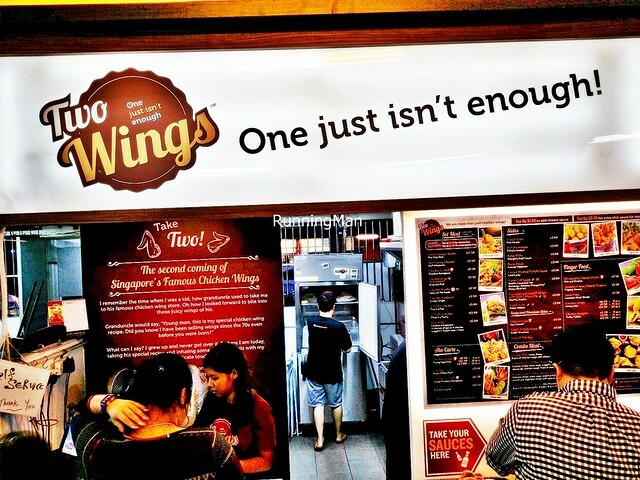 Service provided by Two Wings is pretty good, as each order is freshly fried, there's a short waiting time, on top of the queues they normally have. When your order is ready for collection, Two Wings will contact your mobile phone, so you can actually have a seat / meal first! While prices are higher than average at Two Wings, you really get your money's worth. 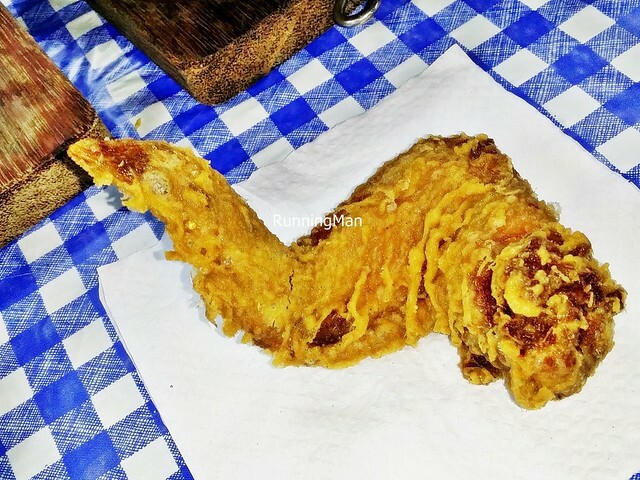 Their fried chicken wings are fresh, sourced from Brazil, and are large and meaty. Every single wing is massage to drain off blood, and prepared with premium sesame oil, an expensive vegetable oil, and the secret recipe batter. 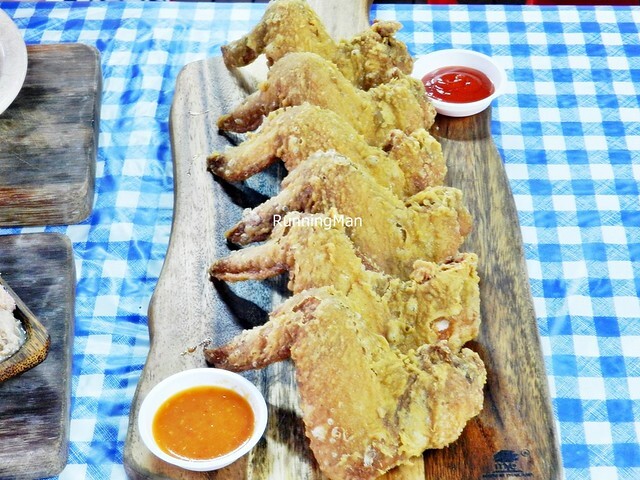 Fried to a perfect golden brown colour, the skin has that wonderful savoury taste and satisfiying crunch, before giving way to piping hot, fragrant, succulent, juicy chicken meat. 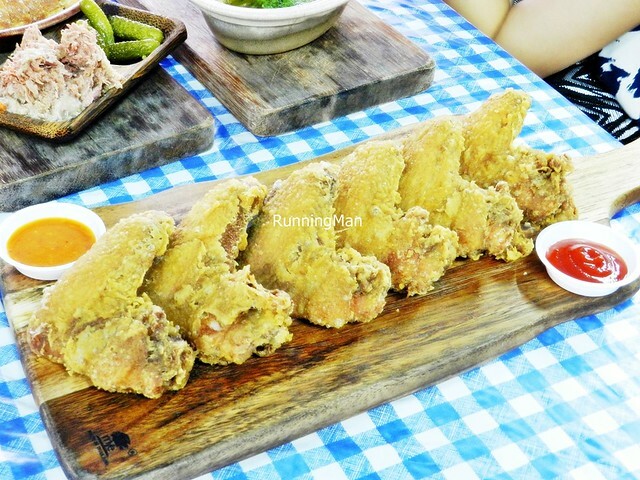 Even more surprising, the fried chicken wings are not too greasy, have very little fat under the skin, and don't leave puddles of oil on the plate! We even tested the legendary staying power of the fried chicken wings, which are said to remain crisp even after 3 hours from takeaway. We only waited for 1 hour after takeaway, but I'm happy to say the skin on the fried chicken wings was still crisp, although we noticed a slight loss of moisture / juicyness in the meat due to humidity. Oh, and they do a pretty mean home made chili too, zesty with a good kick from the spicy heat, with a lingering burn. The menu is rather extensive, but the star is the fried chicken wings. 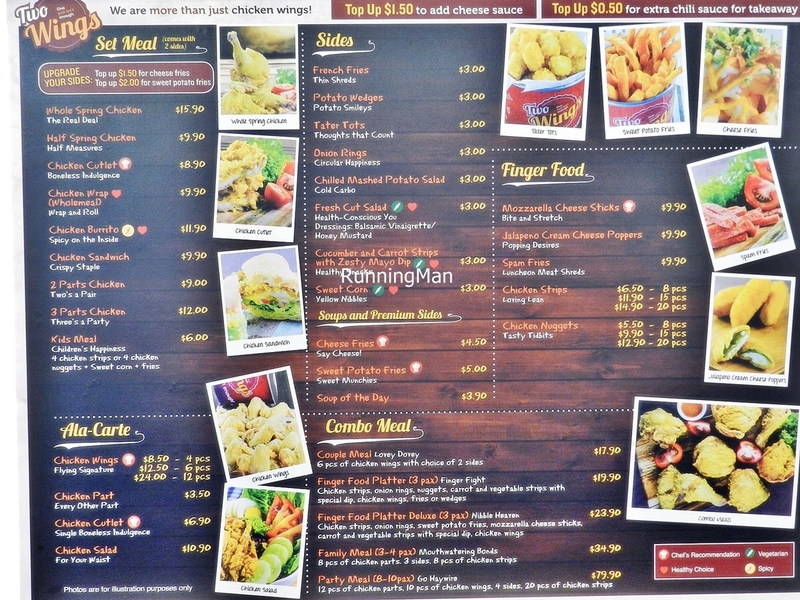 The rest of the Two Wings menu reads like a standard western hawker, albeit with a focus on chicken, sandwiches, and side dishes. 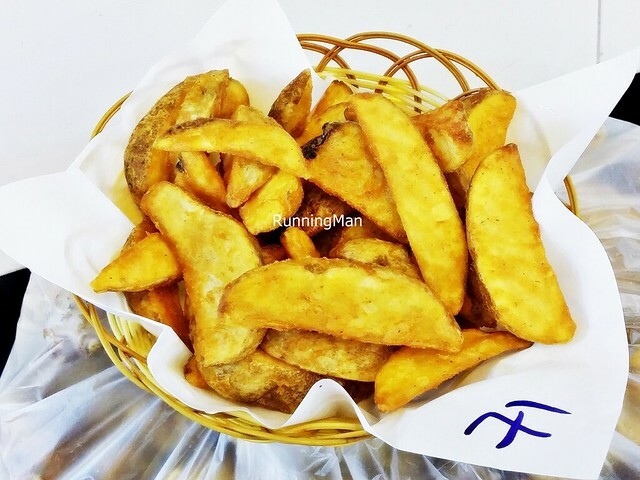 The Potato Wedges (SGD $3) are worth ordering for its good value. A nice portion of slightly crisp outside, fluffy inside wedges are served in a basket. Not particularly special in anyway, just good, straight forward potato wedges done well. 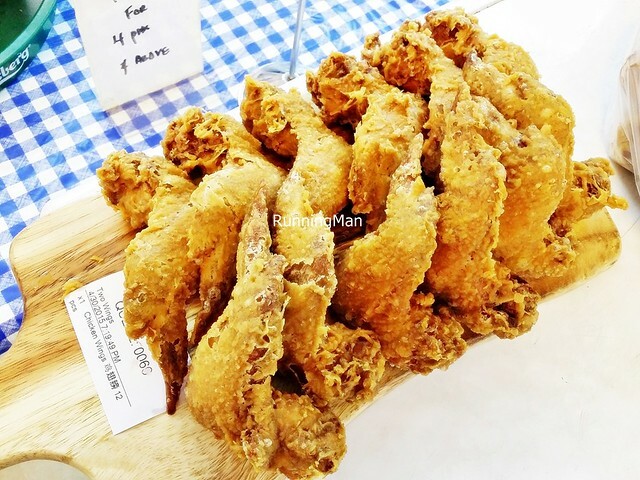 The Fried Chicken Wings (SGD $8.50 for 4 pieces, $12.50 for 6 pieces) are really near perfect for fried chicken wings, checking all the right boxes. Piping hot, freshly prepared, large portions, golden brown colour, crisp skin, juicy chicken meat, savoury flavour, non oily, little fat, lasts even for takeaway... the only thing you could want is perhaps a cheaper price, but I'll rather pay a bit more for this high quality product!